The brighter, the better. The shinier, the chicer. 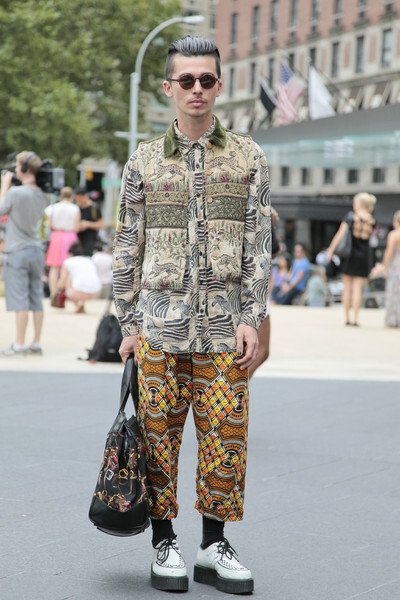 And the funkier the prints, the bigger the chance some streetstyle photog took a picture. 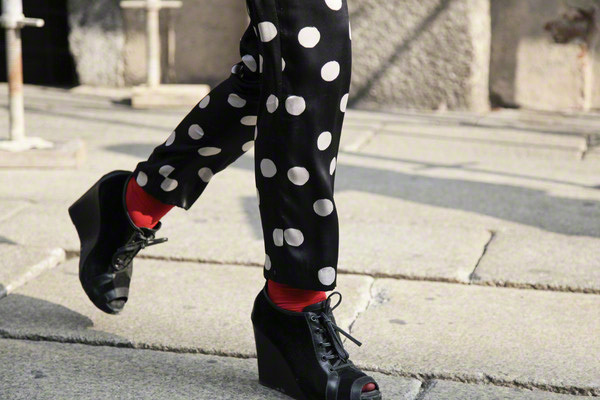 Fancy pants were a big hit in the streets of the four fashion capitals. We spotted them with stripes, tartan, animal prints, the American flag, flowers, sequins and ethnic prints. Mostly combined with a simple uni-color top or shirt and some cool heels. And that’s really all you need for a showstopping streetstyle look. 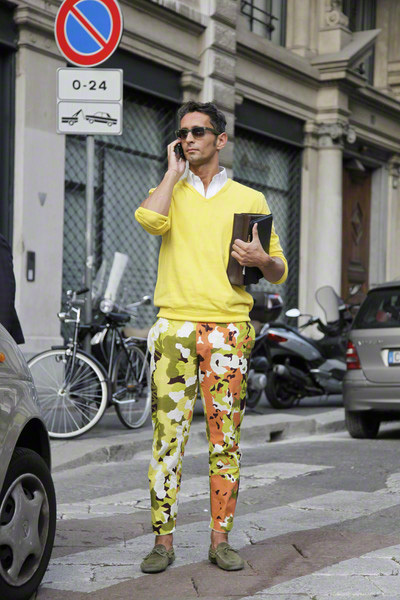 Besides being noticed by the fashion paparazzi there’s another big advantage to those trousers; they’re ultra-comfortable. They’re loose, airy and some of them even feel like your finest pj’s. The hottest labels already showed them in their catwalk shows and we’re pretty sure this trend is going to stay around for a while.